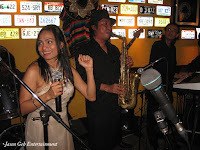 From my years performing and managing Live Party Bands in KL, Malaysia, I can safely say that we're one of the few Party Bands around that can perform any genre of music well from Jazz, oldies, Retro, latin etc and at the same time, have the mind set and repertoire to entertain guest with special request for them to sing their favourite Songs with a Live Band. 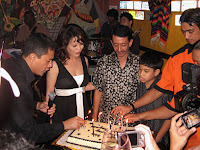 This Event was the Birthday Party of Tunku Besar, held in Las Carretas Mexican restaurant at Jalan Semantan, Kuala Lumpur. Tunku loves Jazz especially tunes by David Sanborn and George Benson. At the same time, he and his friends loves to sing. 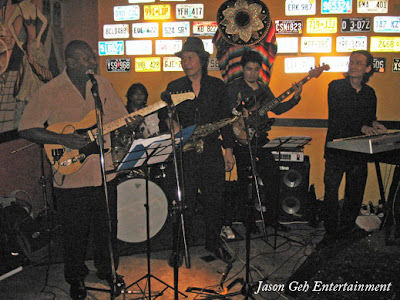 Therefore, it was appropriate to employ our Party Jazz Band who's able to deliver such Jazz tunes as well as have the ability and experience to entertain spontaneous Song request from the guest. The musicians had fun performing for such a crowd that are explicit in their appreciation to great music produced by the Band. 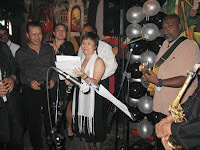 Incidentally, Tunku even flew in a Jazz Singer from Bangkok to sing a few Songs with our Party Band. For your entertainment solutions, proceed to my Party Band Website.